ST. LOUIS, MO––World Wide Technology, Inc. (WWT), a global systems integrator servicing the technology needs of large public and private organizations, including many of the world’s best-known brands, is providing 30,000 copies of Strength for Service books. David L. Steward, founder and chairman of WWT, worked with Larry Coppock, to provide the spiritual and inspirational books for first responders and military troops. In 1990, Steward co-founded a small company that resold PCs and other technology products. Twenty-five years later that company has more than 3,700 employees around the globe. With annual revenue now exceeding $7 billion, WWT ranks 51st on Forbes’ “Largest Private Companies” list and 28th on Fortune’s “100 Best Companies to Work For” list. 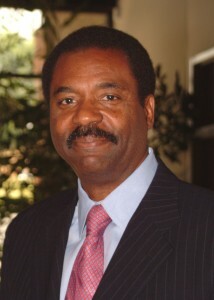 Steward holds a bachelor’s degree in business management from Central Missouri State University, and he also received honorary doctorates from both Harris Stowe State University in 2002, and Lindenwood University in 2010. Ebony magazine named him as one of 100 most influential Black Americans, and Success magazine named him the 14th best American entrepreneur. Following service on the executive committee of the Boy Scouts of America Central Region, Steward currently chairs the BSA Council for the Greater St. Louis Area and is on the National BSA Board. When Steward was a member Union Memorial UMC, the pastor asked him to start a Sunday school class for business people. He called the study, “Doing Business by the Book.” The lessons later resulted in the publication of Doing Business by the Good Book––52 Lessons on Success Straight from the Bible.